Cycling burns calories and tones muscle. Rowing and cycling each have pros and cons. Knowing these helps you choose which form of exercise fits within your goals. The differences between rowing and cycling might even make them both ideal for your fitting into your routine. You don't have to spend hours on a rower or bike to benefit either, which is perfect for women juggling work, family and home and still trying to find time to exercise. Talk to your doctor before you start a new workout. If you've tried both cycling and rowing, you are probably well aware of the differences in the muscles you use during each. 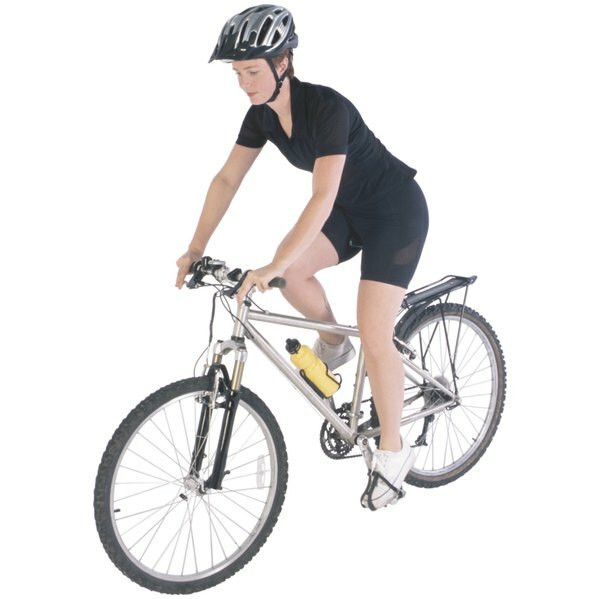 Cycling, whether on a traditional bike or a stationary one, primarily works your lower body, including your quads and hamstrings. Rowing is more of an upper body workout, activating your biceps, triceps, shoulders and back. Choosing one or the other might cause you to work one half of your body more than the other. If you enjoy both, why not do each to create a proportionate look you'll be proud to show off. Cycling and rowing both burn mega calories and can help you control your weight. If you're keeping careful track of your calorie burn and intake, knowing the differences in calorie burn between cycling and rowing is important for ensuring that you're balancing exercise with what you eat. In general, a 150-pound woman burns about 475 calories rowing at a moderate pace for an hour, while the same size woman can burn nearly 600 calories per hour cycling at 12 to 14 miles per hour. Any type of cardio, cycling and rowing included, offers much in the way of health benefits. You'll elevate your heart rate and improve your aerobic endurance while burning calories for weight loss and toning your muscles. Building your endurance and strength makes many day-to-day activities easier, which is good news for women who spend their days lugging groceries, carrying the kids and cleaning the house. In addition, you'll probably notice that other forms of exercise are easier too. Regular exercise also cuts your risk of many health problems, including heart disease, cancer and diabetes. Though you don't necessarily have to choose between rowing and cycling since adding both to your schedule helps create a well-rounded routine, you may be want to focus on one or the other in some cases. If you’re looking to reduce muscle imbalances in your upper body, rowing is the obvious choice and if you're legs need some work, cycling works well. In either case, include at least 30 minutes of cardio most days of the week for the most benefit. Does Running Help Slim Down Your Legs? Do Elliptical Bikes Help Build Bone Strength? Is Cycling Better Than Walking to Lose Weight? Does Riding a Stationary Bike Work the Stomach Muscles?